As the first (1965) and largest heli-ski operator in in the world, CMH Heli-Skiing & Summer Adventures has staked out an exclusive 3 million acre tenure in the snow-drenched Columbia Mountains of Western Canada. 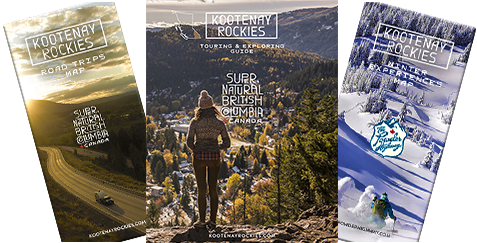 With 12 backcountry luxury lodges (9 areas in eastern British Columbia include Adamants, Bobbie Burns, Bugaboos, CMH K2, Galena, Gothics, Kootenay, Monashees and Revelstoke), the powder obsessed can tackle everything from glaciers to glades or plow through the open alpine amongst the best skiing mountains on earth. Multi-day trips including powder intro programs, family weeks, heli-assisted ski touring as well as small group and private outings, ensure any powder enthusiast can find a trip suited to their liking and ability. Staffed with certified guides, accommodating hosts and culinary talent, lodge life is sure to pamper while exploring a powder-filled sea of peaks will have you purring. Oh, and did we mention travel by helicopter? It's going to be an incredible day! CMH Galena, Mike Welsh photo. CMH Adamants, Tammy Hanratty photo. Outstanding terrain and snow; Craig McGee photo. Snowboarding adventure; Craig McGee photo.